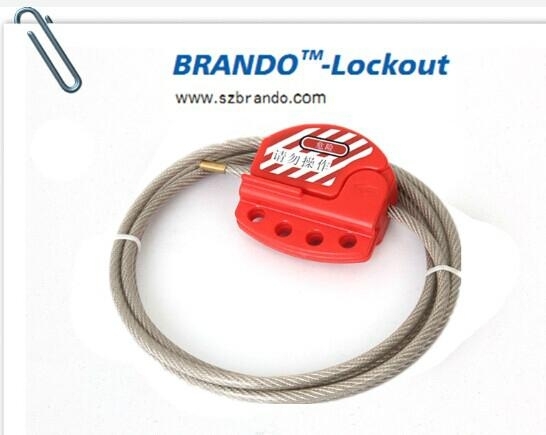 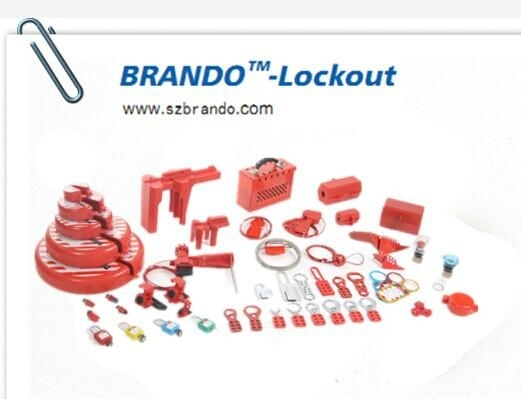 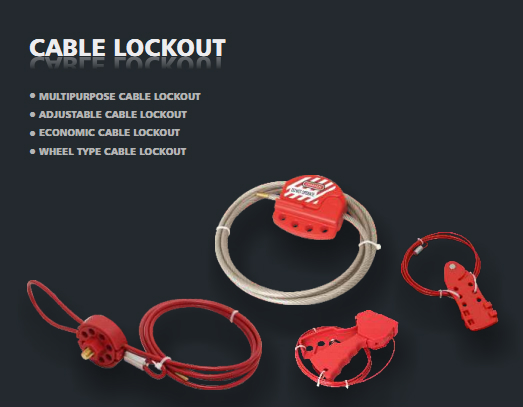 c, Accepts up to 4-6padlocks for multiple lockout appliation. 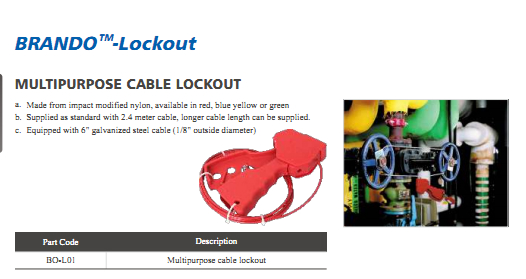 e, Equipped with 1.8m galvanized steel cable. 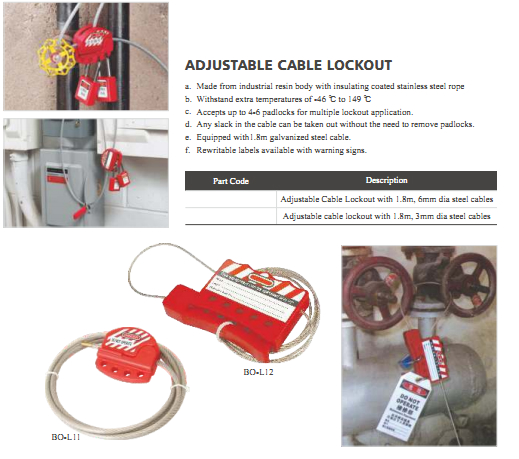 f, Rewritable labels available with warning signs.